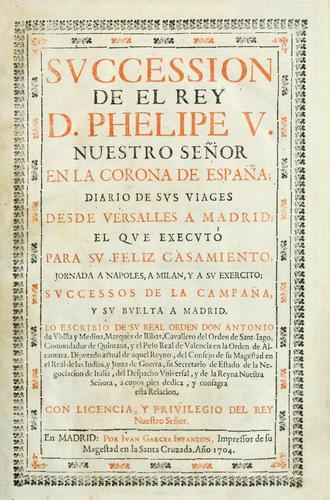 1 edition of Succession de el rey D. Phelipe V, nuestro Señor en la coron... found in the catalog. Add another edition? Are you sure you want to remove Succession de el rey D. Phelipe V, nuestro Señor en la corona de España from your list? 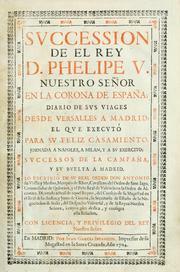 Published 1704 by Por Juan Garcia Infanzon ... in En Madrid . August 7, 2009 Created by ImportBot Initial record created, from Internet Archive item record.